Zimmermann Jasper floral dress, Zac by Zac Posen crossbody bag, Steven Zada yellow satin mules, all c/o Shopbop. Shot by Nicole Rutsch in Montauk, NY on our way to The Daily x Shopbop Summer Shindig. 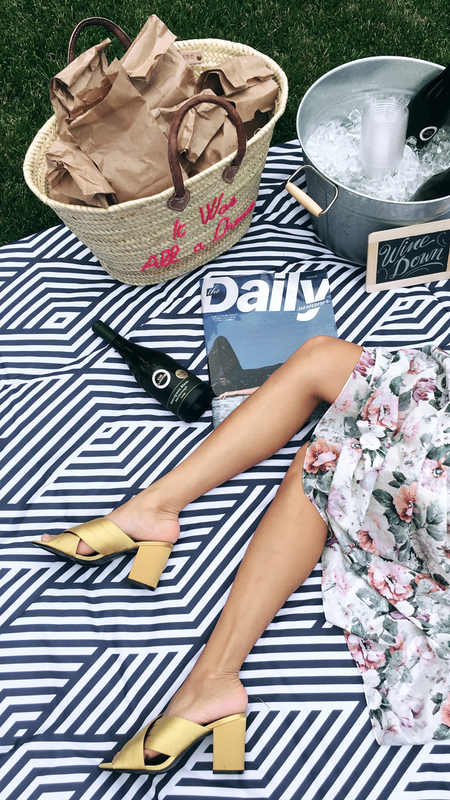 Just because you're wearing a dainty dress that's way fancier than your normal attire and seems like it was designed exclusively for the chic garden party you're about to step into, doesn't mean that you have to stay on your best behavior all night. Au contraire, I would argue that you should use it as your evening's secret weapon. Because who could ever doubt the intentions of a woman dressed with such panache? Your additional armor for the evening? Some bright, ready-to-party heels, a disarming smile, a few carefully crafted cocktails, an idgaf attitude, a great friend in tow and an openness to go anywhere, speak to anyone and just enjoy that summer evening breeze... any way you can. So play flip cup with new acquaintances. 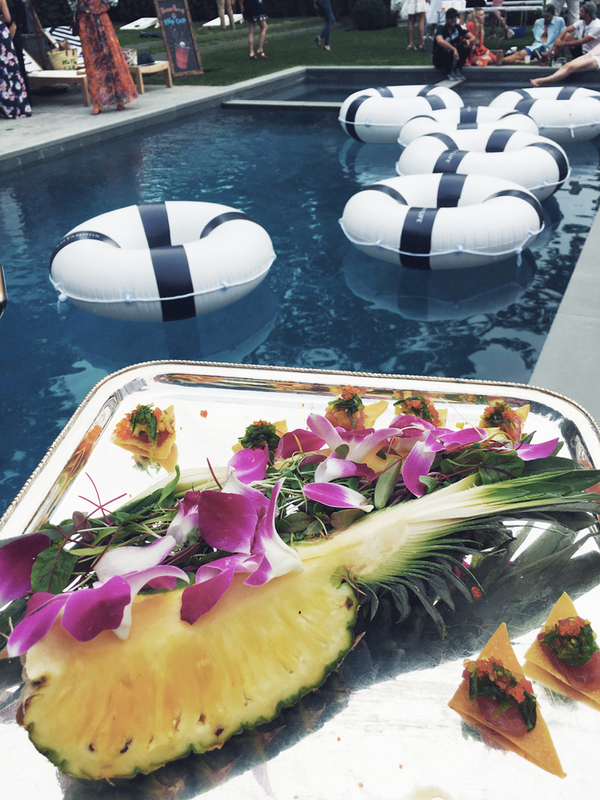 Kick your heels off and lounge by the pool. Have a dance party in an overpriced Uber with a stranger who's footing the bill. Crash a wedding, take over the dance floor and let the bridesmaids' eyes shoot you with daggers as they sulk at the bar in their grotesque, matching tulle gowns. Run away. Hitch a ride. Find another dance party. Sweat it out with not a care in the world. End the evening on a beach with your toes in the sand, breathing in the night as the sky opens up and starts to drizzle on your frocks, which by now are oh-so-artfully worn in. Cause a good outfit is only worth as much as the stories you acquire in it. This look is so pretty! I'm totally in love with your gold sandals. They are too cute!